Everyone hates those Monday mornings. You wake up late, and it all goes downhill from there. It usually leads to most of us skipping breakfast. What do most of us do in situations like these? We conveniently just skip a good healthy breakfast and cut straight to the chase. It’s easier to skip breakfast than to get a mouthful from your boss. At the least that’s what we’d like to believe. Take a look at a few healthy office breakfast ideas to start off your day. Soya is a great source of protein which makes it one of the best high porting breakfast foods on the go. Soya is high in fiber and minerals. It is also known to reduce cholesterol levels. Soya bean chunks tend to have a very granulated texture. A lot of people like to have it as a substitute to meat because it tastes and feels a little bit like a non-vegetarian food. Try make a soya dosa or a soya bean chunk dry gravy with chapati. This could also serve as a great brunch idea if you have a lot of work to get done with and want to save time. Ragi, also known as nachni, has so many health benefits. It is not a fatty food, so if you are trying to lose that extra weight, this is a good breakfast option. It is a source of iron, proteins and amino acids. It is known to reduce cholesterol and helps digestion. Ragi is basically known as the wonder grain. You can also try Ragi idlis or a ragi malt. A lot of mothers start their babies on Ragi porridge to improve immunity. We feel the traditional Ragi porridge makes for a great way to start your day; add some honey as a natural sweetener for a complete wholesome healthy breakfast. Eggs are one of the easiest and fastest breakfast foods you can pick. On the days when you literally have only five minutes to spare before leaving your house, eggs are the way to go. Make your eggs the way you like them. Fried and sunny side up, scrambled, poached, boiled, the list goes on. Eggs are one of the best sources of high quality protein. Eggs are a great source of many vitamins like D, B12 and many minerals. You should definitely stay away from readymade oatmeal because it is highly processed. Go with steel cut oats instead. Make a traditional slow-cooker oatmeal porridge. Oats are a great source of vitamins, minerals, and antioxidants. They are a good source of carbohydrates and fiber too. Oats help in healthy digestion, making it a great breakfast food! Dosa batter is made of rice and urad dal (split black gram). The best benefit of dosas are that the batter can be re-used for lunch or dinner too. You can use it to make uttapam, which is a thicker version of a dosa with tomato and onion bits in it. Dosas can prove to be a good source of carbohydrates, proteins and are low in calories. Dosas are quick to make if you have the batter ready and are best served hot. 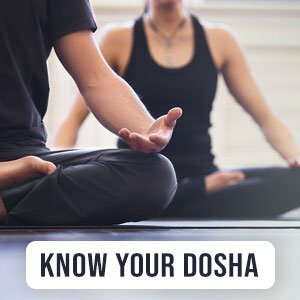 Dosas are a very good probiotic food, so they are good for your gut too! These are some of our top picks on healthy quick and easy breakfast ideas for those manic mornings.